We think you’ll like this idea if you’re into that rough Robinson Crusoe style. It’s a no frills, all natural, simple idea, but as you know, that’s kind of our thing. A neighbor gave us a 25 foot stalk of Golden Bamboo and we used a portion of it to make a few planters since we always seem to be short on those. They are perfect planters because they are natural, strong, biodegradable and this time they were free (our favorite part)! 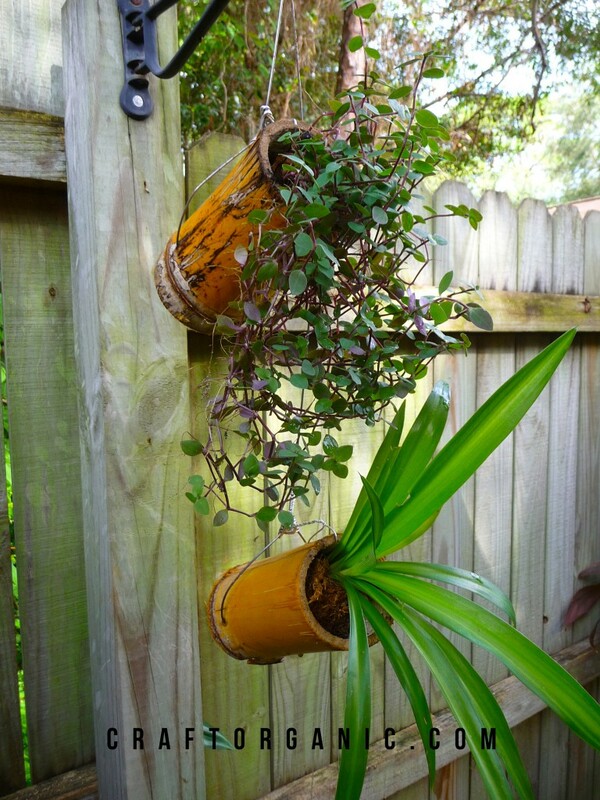 Ok, ok… there aren’t that many people with a surplus of bamboo lying around so if you like this idea you may have to go buy some at your corner bamboo store. 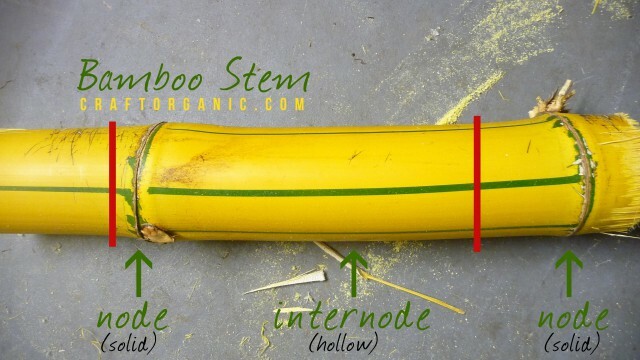 Bamboo is mostly hollow except where the nodes are – the nodes are the ridges you see on the outside of the stem. See the photo below. 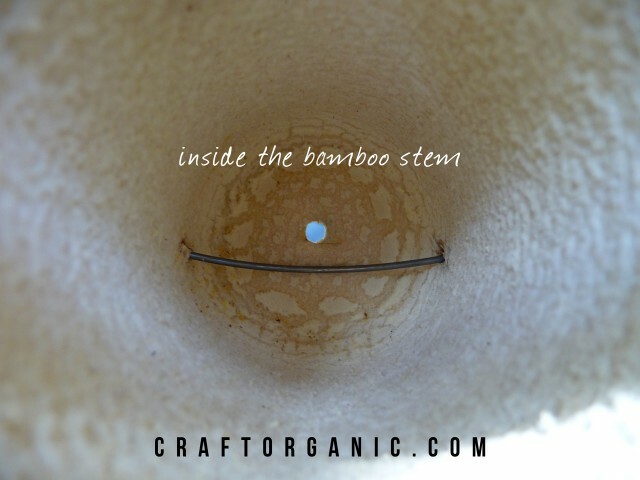 To make bamboo planters you will want to cut out a section with a node at one end. The photo above shows a red line marking the area where you cut the stem. 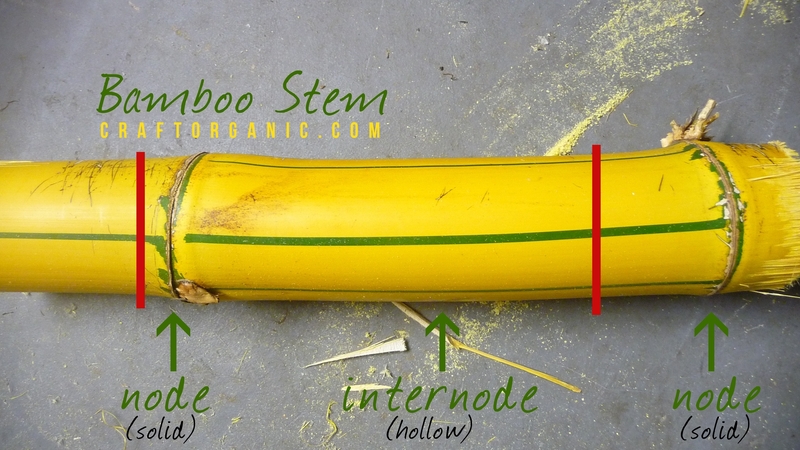 Where you cut into the internode will depend on how deep you want your bamboo planter. Make sense? 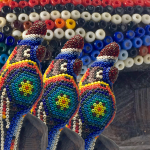 Then you will want to make a few holes with a drill – some for drainage and some for the wire to hang them. It’s really very simple. We hung a couple of our bamboo planters on an angle and some straight up. Some hang by wire, some hang by fish line, and some sit on a table. 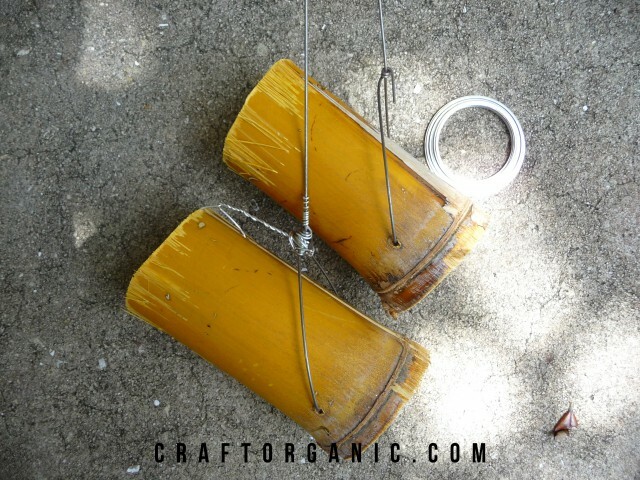 Keep in mind, wire will rust unless you use aluminum wire. If you like the rusty look like we do, then don’t use aluminum. We used a little of both. Robinson Crusoe wouldn’t mind any rust. 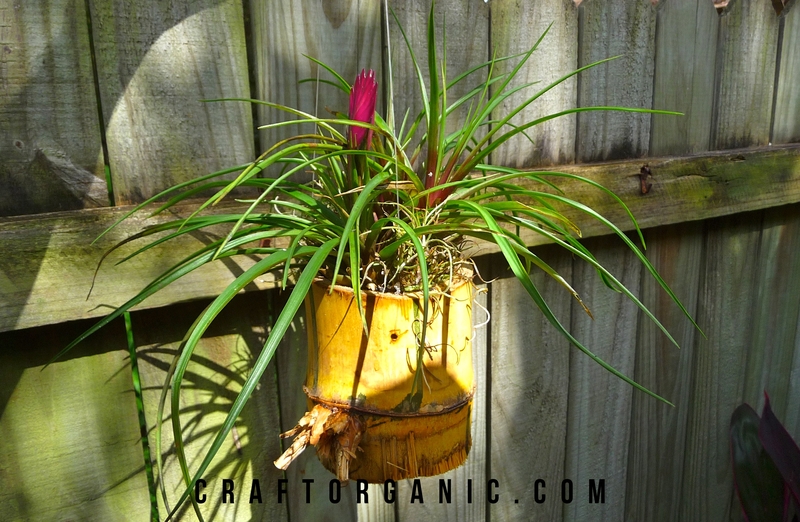 Below is an upright bamboo planter hung with fish line with a couple air plants. Anyway, I have never had good success with air plants because I have watered them maybe too often and never let them dry out. I thought they had to be moist all the time. The worse they did the more I watered till I gave up because they are either dead or too much work. I’ll try again. I wanted to make a clever remark about Octomom but I couldn’t think of anything.